As a non-commercial, educational FM station broadcasting for the public interest, KCSB enters into no commercial contracts which allow access to the airwaves and it strives to provide programming substantially different from that carried by commercial broadcast media. It is also designed to be educational for both programmers and listeners. 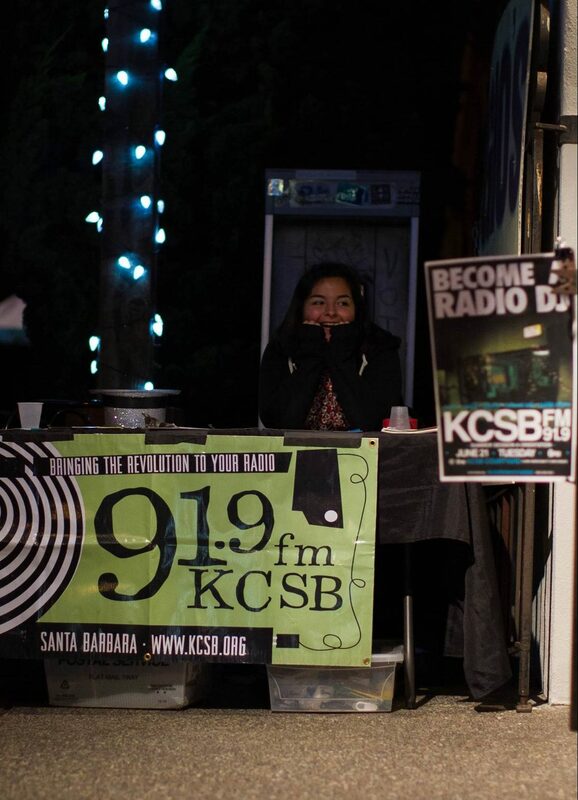 UCSB students and other programmers are provided an opportunity to learn the fundamentals of radio broadcasting. 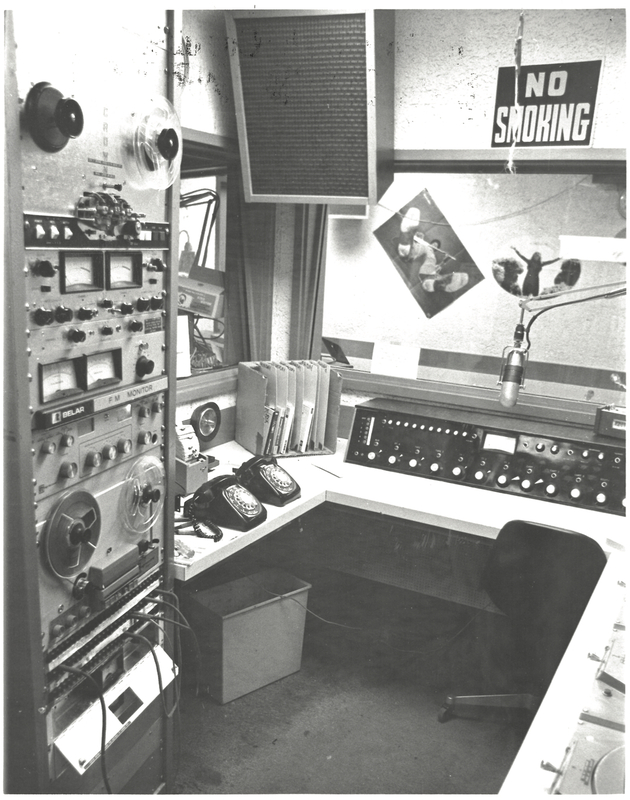 KCSB-FM was first established as a “carrier current” AM radio station during the 1961-1962 school year by sophomore station founder Bill Harrison and friends. 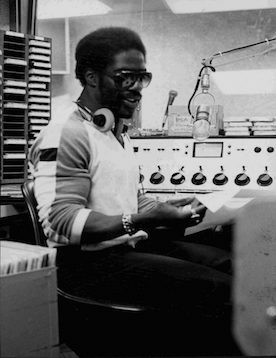 Bill had been working in commercial radio in Santa Barbara for 3 years by this time and brought that experience and passion to UCSB. These intrepid students utilized the lounge on a second floor wing of the Anacapa dormitory, calling it “Radio Navajo” in honor of their floor, Navajo Hall. Additional carrier current transmitters were soon added to several of UCSB’s residence halls. 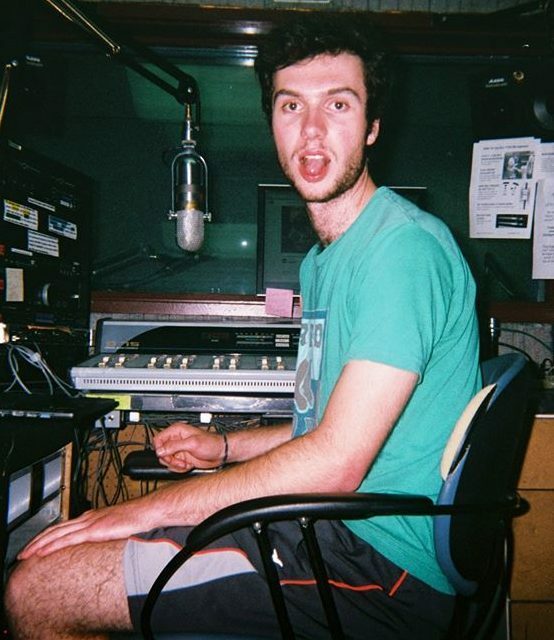 The fledgling station staff then appealed to the Associated Students to adopt the radio station officially, which was approved, giving the station a budget of about $900 for its first year. When the station moved to its (pre-UCen) Student Union facilities, it could be also be heard on the campus coffee shop sound system. The November 1963 assassination of John F. Kennedy greatly impacted the campus, causing disruptions in numerous class and exam schedules just before Thanksgiving, as well as overwhelming grief and distraction from normal campus life. KCSB played a significant, helpful role in providing useful, local logistical information to the UCSB community (well before cell phones, texting, and internet) as well as news of the Kennedy Assassination story in a timely way. (KCSB received support from KTMS – then owned by Thomas M. Storke, hence the call letters KTMS, and the namesake of Storke tower – with its UPI news facilities at its transmitter nearby to provide current wire copy.) KCSB’s campus role at the time of the Kennedy Assassination event seemed to solidify stable recognition of and support for the station from then on. The radio station staff certainly felt that this week of the assassination “put us on the map” as a real thing. KCSB joined with KPSC, the Pomona College FM station to co-sponsor the first Collegiate Radio Broadcaster’s conference in 1963 or thereabouts. The weekend event, hosted at Pomona College by the brother of one of KCSB’s staff members who was KPSC student manager, was designed and coordinated by KCSB staff, and included presentations by Bob Crane, then a radio personality at KFI in Los Angeles (later of Hogan’s Heroes fame), and by a program manager from Pacifica Radio’s KPFK, as well as many discussion sessions among those attending. Around that same time, by surreptitiously attaching its signal to the intercampus telephone tie lines which were otherwise closed at night, KCSB developed that California student radio network with occasional programming among carrier current and broadcast stations at Stanford, UCLA, Berkeley and Pomona, among others. In 1964, KCSB was officially licensed by the FCC as a non-commercial, educational, low-power FM broadcast station in the name of the Regents of the University of California. The station at first steered clear of rock ‘n’ roll music to avoid generating controversy, as it was believed at that time that the Regents had deferred licensing other campuses in more urban areas for fear of negative community consequences. (To many people, the emerging popularity of rock ‘n’roll music was still controversial.) So the locale of the UCSB campus, far enough away from the Santa Barbara community, seemed a safe bet to allow this low-power broadcast experiment. 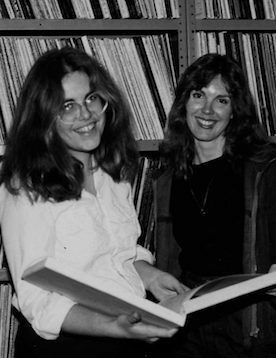 KCSB-FM began well before the protests and upheavals of the later 1960s, and licensing KCSB-FM was thought by the initial student staff to be a sort of trial by the Regents to allow student broadcasting; student-community relations were still fairly placid then. Throughout the mid-1960s, as its signal strength and broadcast hours expanded (we now reach up and down the Central Coast, from Pismo Beach to Camarillo), KCSB’s programming also diversified to include all sorts of content: free-form music, news, campus sports, public affairs, and cultural-arts programs. Along with all of these shifts during the 1960s, the station also moved a lot physically, from its origins in Anacapa Hall, to the small “Building 477” behind the Student Union, which was then housed in left-over buildings from the original military base, and then later to studios in the new UCSB University Center. During that period, KCSB organizers even managed to get its first FM low-power broadcast antenna erected on top of the San Miguel dorms. By 1969, KCSB’s headquarters became more permanently established right under Storke Tower, when — after significant effort and fundraising — the Storke Communications Building and Storke Plaza were dedicated as the UCSB campus’s primary hub for support of freedom of speech and of student media. 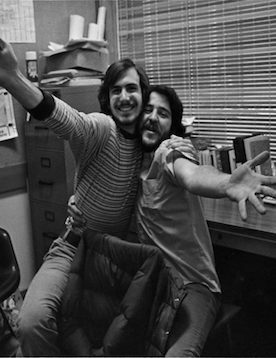 By this time, students and other activists were mobilizing against the Vietnam War, slum conditions, over-policing, anti-corporatism — a whole host of issues. 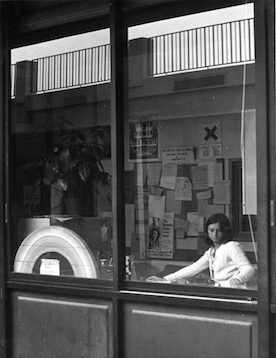 Student-community relations were no longer so placid. Those protests are most associated with the torching of the Bank of America in Isla Vista (where UCSB Embarcadero Hall is located today). Many still assume that this notorious shutdown incident in KCSB’s history and that rather shocking act of arson were almost simultaneous, when in fact the bank burning and the station’s shut down actually didn’t line up on the calendar in that way. The illegal order to turn off KCSB’s transmitter — and a quick rebound from that rather stunning turn of events — has become something of an iconic symbol of KCSB’s promise to amplify community voices and to protect rights to free speech. 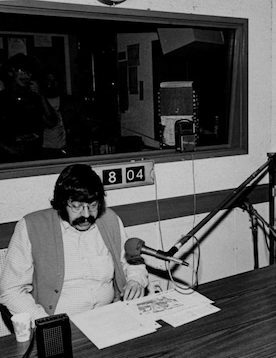 What transpired on April 18th, 1970 — in KCSB’s still rather new studios — certainly doesn’t exhaust the numerous stories that can be told of KCSB’s many decades on the air, but it does provide dramatic proof of the station’s overall commitment to the greater public and to such constitutional principles.